SONY'S LATEST TAKES SOUNDBARS TO NEW HEIGHTS WITH VERTICAL SURROUND ENGINE, DOLBY ATMOS, DTS:X AND MORE! Sony’s Ground Breaking HT-Z9F and HT-X9000F Sound Bars Supporting Dolby Atmos® and DTS:X™, Powered by Sony's Vertical Surround Engine. HT‑Z9F, the world's first1 3.1ch Dolby Atmos Sound Bar and the HT-X9000F Dolby Atmos sound bar, are both designed to further an enhanced, connected, and compelling listening experience for consumers, and are featured in every Video & Audio Center showroom here in the Los Angeles area. The premium HT-Z9F Dolby Atmos sound bar, paired with Sony's unique virtual technology, brings a new level of impressive cinematic-audio to your home. 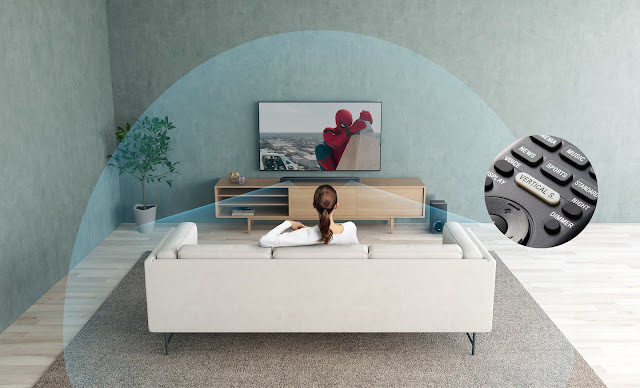 When Dolby Atmos is paired with Sony's new Vertical Surround Engine, consumers can experience breathtaking virtual three-dimensional sound via an alternative approach to ceiling reflection or up-firing speakers. The HT-X9000F sound bar matches the distinctive design of Sony's X900F 4K HDR TV series. 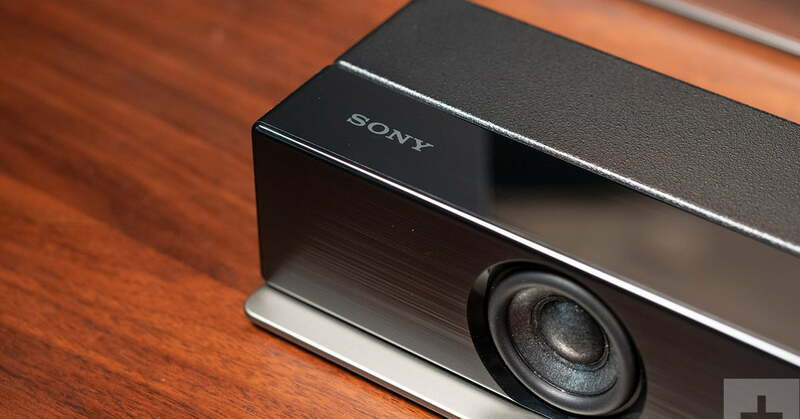 This 2.1ch Dolby Atmos and Sony's Virtual Surround Engine sound bar deliver powerful sound through a slim and compact form factor. The HT-X9000F embraces the sophistication of Sony's 4K HDR TV and blends effortlessly with the comfort of your home with natural texture and a slimmer body. "At Sony, we are committed to creating optimal listening and viewing experiences for our consumers as well as a stunning design," said Mike Fasulo, President and COO of Sony Electronics, North America. 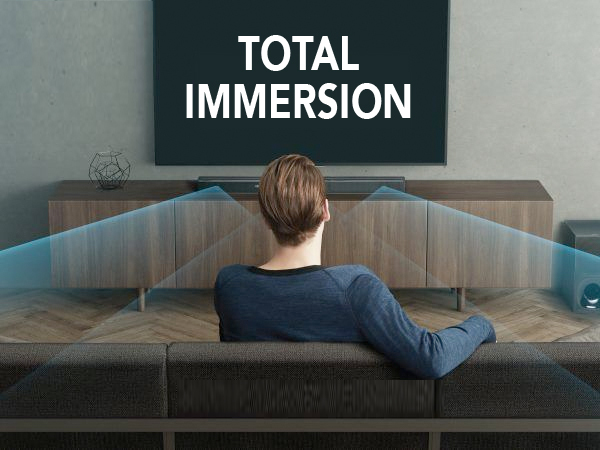 "Our new HT-Z9F and HT-X9000F Dolby Atmos sound bars with virtual three-dimensional sound enable consumers to be surrounded by a truly impressive TV experience while looking great in your living room." "Dolby continues to execute on its mission to bring Dolby Atmos to more people, in more places, through more form factors," said Giles Baker, SVP, Consumer Entertainment Group, Dolby Laboratories. "With the launch of these new Dolby Atmos sound bars, we're bringing immersive, lifelike sound to even more of Sony's lineup." The compact yet proficient 3.1ch HT-Z9F sound bar is capable of totally encompassing its audience with three-dimensional sound in its compact, yet proficient size. With the introduction of Dolby Atmos and Sony's Vertical Surround Engine in the Z9F sound bar, audiences will get a sense of helicopters whizzing above and car chase action clashing around you. Combined with the S-Force PRO Front Surround technology, which improves the existing surround sound, it now recreates the feeling of being surrounded by speakers for a true home theater environment. 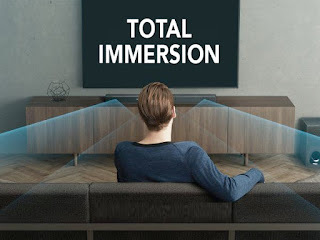 With or without Dolby Atmos and DTS:X content, virtual three-dimensional sound can be enjoyed thanks to the "Vertical S." button on the remote that pushes the HT-Z9F to up-mix 2ch stereo content up to 7.1.2ch. Both the HT-Z9F and HT-X9000F are compatible with 4K HDR10 and Dolby Vision™ so that images can be passed through the device directly to the TV without loss of quality, resulting in great color clarity and brightness. The HT-Z9F also supports high-resolution audio formats. Music files can be enjoyed to near high-resolution audio quality thanks to DSEE HX™ (digital sound enhancement engine feature). Both sound bars are designed to match Sony's 4K HDR TV aesthetic for an elegant set-up that fits perfectly together. The HT-X9000F has the edges chamfered off at an angle to fit against the legs of a Sony TV stand, and perfectly matches the design of the Sony X900F 4K HDR TV series. Ideal for minimalist interiors, the slim design blends seamlessly into any living space. The two sound bars provide the option to go cable-free via Bluetooth® connectivity2 for added simplicity – for Z9F, this feature will be made available via a future firmware update. The Z9F also has Wi-Fi connectivity for access to several music services by Chromecast built-in3. You can also enjoy a new music experience through voice operations and will work with the Google Assistant4. By talking to a smart speaker such as Google Home, you can play music through a streaming service from the HT–Z9F, or you can use multi-room playback which feeds the same music simultaneously from corresponding audio equipment in the home network. A refreshed and intuitive user interface makes it easier to set up and use with Sony TVs. With up to 2 HDMI inputs and 1 output, multiple devices can be connected to the sound bar. Both models also have USB connectivity in addition to Bluetooth. Sony's new unique surround technology makes it possible to reproduce "vertical" sound without in-ceiling speakers. Thanks to this technology, the HT–Z9F and HT-X9000F gives the Dolby Atmos and DTS:X experience a low profile, without using enabled speakers and rear speakers. It is not room environment‐dependent, and enables listeners to enjoy sound from all directions with max 7.1.2ch surround sound. If Sony makes it, we carry it! Sony's new game-changing soundbars are available at all Video & Audio Center technology showrooms for you to look, touch, and hear in person; as well as available online by clicking HERE. 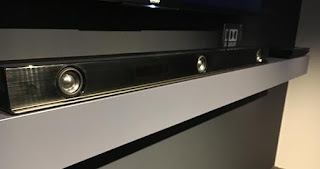 In addition to being Southern California's #1 Video & Audio Company for the 18th year in a row, we are a fully Authorized Sony Dealer and carry the full line of Sony, home, office and personal electronics—including the amazing line of new 2018 X900F 4K HDR Ultra HD TVs these amazing soundbars were designed to seamlessly complement. 1 As of January 8, 2018. According to research by Sony Corporation. 2 For Bluetooth® connection, BRAVIA® supporting Bluetooth® A2DP is needed. 3 Google, Chromecast built-in and other related marks and logos are trademarks of Google LLC. 4 This feature will be made available via a future firmware update.